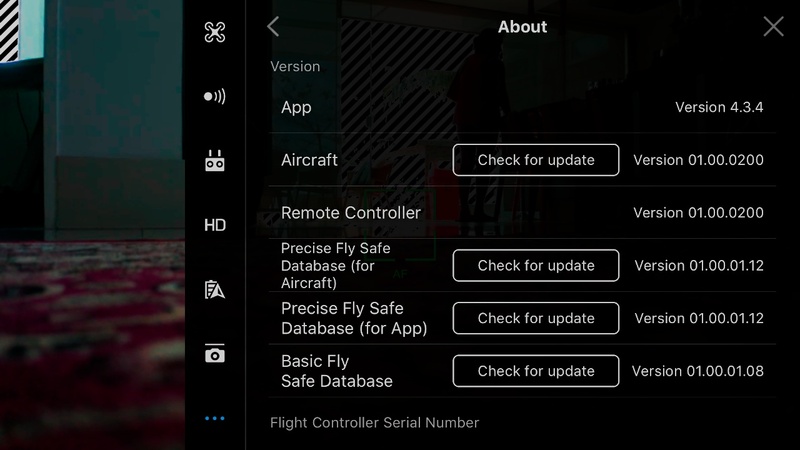 Please note that update may reset various main controller settings, such as the RTH altitude and the maximum flight distance, to default settings. 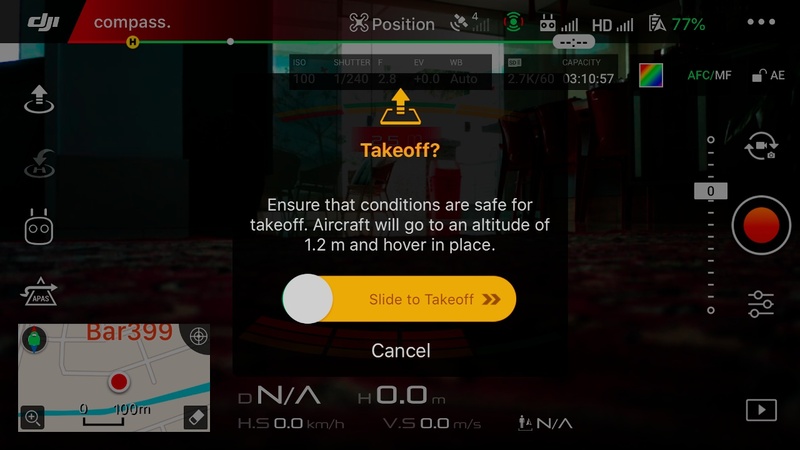 Before the update, take note of your preferred DJI GO 4 settings, and readjust them after the update. WOW Precision landing is back. But please fix the bug with the DJI Go4 App update. Still can&apos;t update the Firmware via App "Network error"
New version of Go4 out today for apple, V4.3.5. Firmware download worked first go. it should work with the App but DJI won&apos;t fix this bug on Android. True! Its anoying that its keeps saying network error. Where is the PRECISION LANDING ?????? I wonder if Waypoints 2.0 is or will be included? Fixed Wing mode would be a nice touch as well. There is no checkbox for PRECISION LANDING!? How does this work with mavic 2 pro? App version is 4.3.4 android. hope this is not again " only for the ios "
no waypoint on this update and hard to believe there will be one soon. I ,therefore ,already started to use Litchi just for their Waypoint. With Waypotint 2.0 you could draw the flight path on the map instead of pre-flying it. Coming soon on the manual. Precision Landing. Anyboady confiermed the existense of the check box option on iOS? Autel Evo , which is only 900$ drone , can land within few mm ( millimeter , I repeat millimeter) , where it took off. Shame on you DJI , your rivals slowly slowly overtaking you. I don&apos;t think it&apos;s the app. Think it&apos;s their servers. I was able to upgrade via the app while at home but now on vacation on another country I kept getting the same error even upon 100%. The connection here is quite good. DJI please do us a favor, upgrade to a better CDN servers. Also the interrupted firmware downloads should be able to resume at the percentage it was last dropped. Right. But I don’t think you are using the latest DJI version ending with .5 for the iOS version. No P Landing yet, Why is it mentioned if it is not there yet. Just updated via IPhone and I can confirm that there is no indication of precision landing, no checkbox...nothing. Either it’s not in this update or it’s on automatically all the time with not indication. What’s the deal DJI ?? Just updated everything, no landing checkbox either on ios. No presicion landing box, the RTH current altitude is strange, its description sounds like presicion landing?? "no waypoint on this update" This update? LOL............I wouldn&apos;t be holding your breath on this for any future updates!! Question........Why would DJI not post documentation/how to on use and capabilities of said new/added features? Are we to just use guess work/trial and error to solve these (their) riddles of life? Autel Evo? Do I need this Drone? Hmmmm, does this beast have its own waypoints flight features builtin? 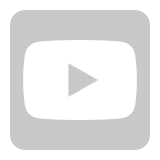 Does your customizable vuttons work? C1, c2 and 5D button? 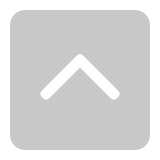 Does your customizable buttons work?